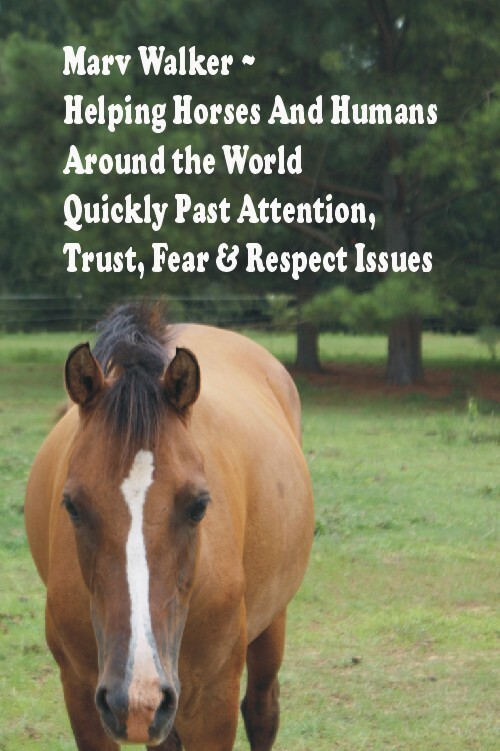 Whether you already have a horse or you are looking for a horse, its conformation, or how it is put together will have a very strong influence on the success of your horse training. No horse can do what it is physically unable to do and it is counter productive to attempt to train to do something it is not able to do. If you go to a rodeo and you watch the roping you will see all the roping horses look pretty much the same. The color may be different but the horses are all pretty much the same shape and size. Experience has taught the ropers what body shape, or conformation, make the best roping horses. It is the same with all "competitive" horses whether they are jumpers, endurance horses, carriage horses, what have you. Are there individuals who fall outside of the ideal purpose conformation? Yes. But they are rare. People often bring horses to clinics that are totally unsuited to do whatever it is they want to do. They may have a big drafty looking horse that runs out or refuses jumps and they are certain it is a behavioral problem. Or they would bring a horse that had a very severe sacroiliac subluxation which is a very severe physical issue and it behaves erratically. I once received a call from a horse owner in Chicago whose dressage instructor didn't like the way her horse trotted and wanted me to tell her what the problem was. In the course of the conversation she told me the horse was a Tennessee Walker and I told her I figured out the problem, Tennessee Walkers seldom trot, they gait. She said she didn't gait worth beans either and we were back to square one. She insisted on bringing me up to Chicago. Hey, you want me to come to you, that can be arranged, so off to Chicago I go to a HUGE barn smack dab in the middle of Chicago. As I was waiting for the owner in the "lounge" I got into a conversation with some other folks sitting there and they all knew the horse and the problem. "You can't miss it, it's the only paint horse in Aisle 57." "Ahh Ha!" I pronounce. "I now know the problem, it's not a Tennessee Walker. TWs only come in two colors, bay and chestnut." Talk about a surly bunch. They started snapping about how the owner had paid a lot of money for the horse and it was a registered Tennessee Walker. I wisely shut up before someone went for a rope. The owner shows up before I found myself buried in a manure pile and off we go to look at the horse. We turn down Aisle 57 and I see the mare looking at us over the stall door way down at the end of the row. Pretty head on the thing, doesn't look like a TW, but that, in and of itself, really means little. She puts the halter on the mare and starts to bring her out and I stop her in the doorway. "I see your problem," I announce yet again, even I was getting tired of hearing it. "See this shoulder how it's kind of straight down?" She nods. "That's a Walking Horse shoulder. See this shoulder, how it's nice and round?" She nods again, "That's a stock horse shoulder." I have her bring the mare out into the aisle. "See this hip, how it's straight down?" She nods. "That's a Walking Horse hip. See this hip here how its nice and round?" She nods. "You have two horses in one, and the parts are on the diagonal. This horse will never be able to gait correctly or trot correctly because she is physically unable to do either." Naturally she was not pleased and wanted to know how it happened she bought a purebred TWH in Tennessee for a good chunk of money to get a horse that was not the least bit usable for what she wanted. What happened is some TWH Goober got to thinking, "Wouldn't it be nice to have some colored Walkers? Neighbor Goober down the road has this Paint stud..." Next thing you know color is poppin' up all over the place and we have Color Walkers, PaintaWalkers, WalkerLoosas, you name it. In order to be registered in some Walker registries, the horse just has to gait. Once it's registered and bred again the horse can be registered in some Walker registry because its parents were registered Walkers even if it doesn't gait and trots like a bandit. Back before everyone and his brother could get a tractor financed horses were used for work. They had to produce, and they had to start producing as soon as possible because they didn't live as long as they do today. If they couldn't earn their keep they weren't bred. As a result form follows function. Fast forward to today when we no longer breed horses for their ability to perform a set task, now we breed for emotion. Now we breed horses to look at, "That would so pretty if..." As a result they are all over the board conformation wise, breeds with opposing conformations are bred together all the time. People think they can improve on something that took generations to produce in one breeding. We have designer horses all over the place that are conformational mutts. Whether you already have a horse or you are going to get one, become familiar with horse conformation, it will help you in your horse training efforts.